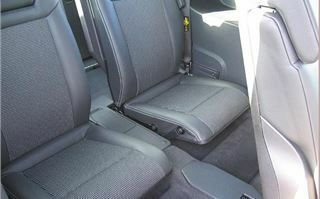 This test is to answer an often-asked question: The World isn’t exactly overflowing with 7-seater diesel automatics. 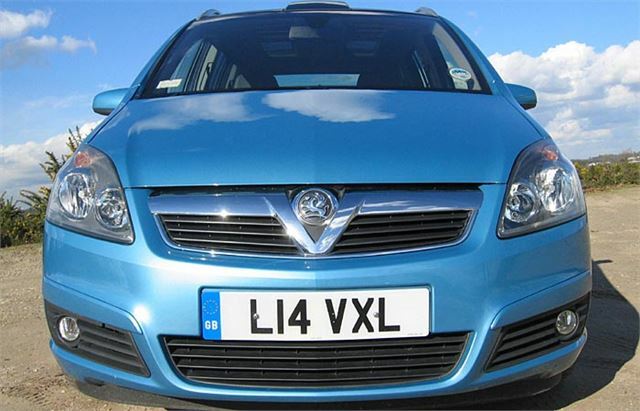 So is the new Vauxhall Zafira diesel auto any good? It’s up against the Touran DSG, the forthcoming new Sharan DSG, the forthcoming new Galaxy 1.8 diesel automatic, the last of the old Shalambra diesel automatics. And that’s about it. 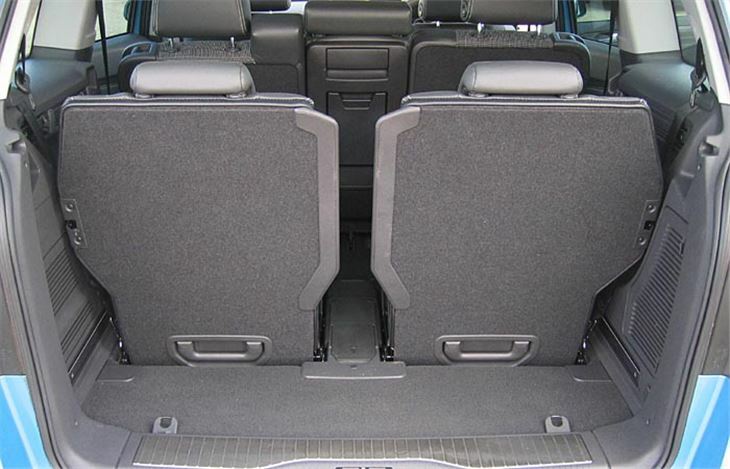 As anyone familiar with the old Zafira knows, the rearmost pair of ‘Flex7’ seats pull up out of the low floor. 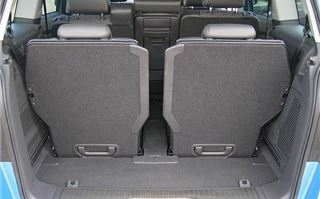 But first you have to slide the heavy, one-piece centre bench forwards, and to do that the front seats also have to be in a fairly forward position. 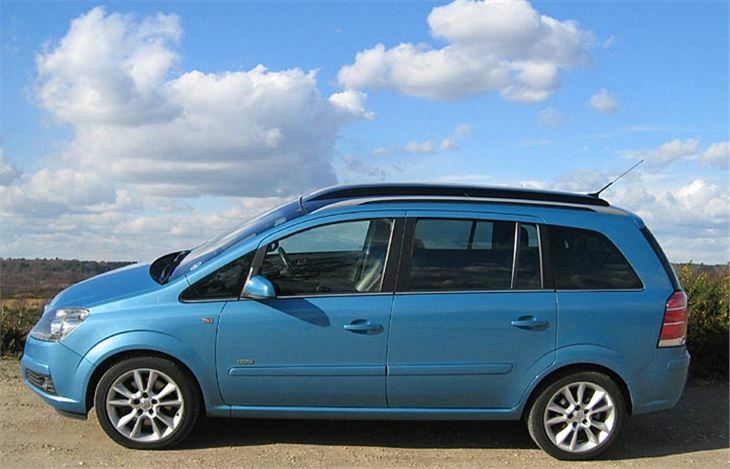 You can then arrange a compromise in legroom for all three rows, but you can’t do it individually for the centre three as you can in a Peugeot 307SW. 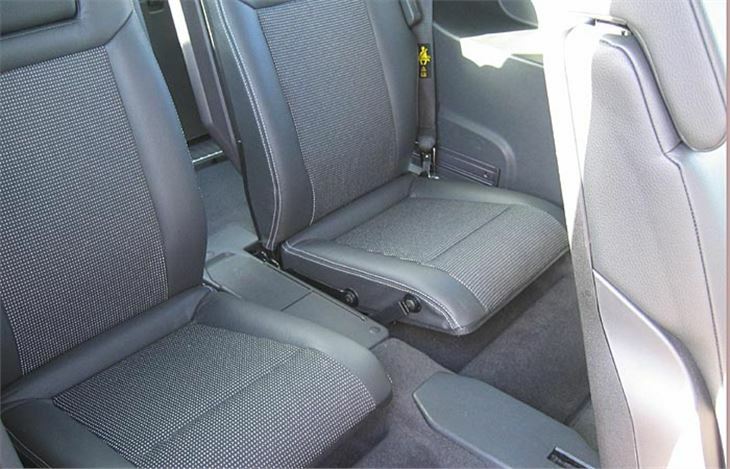 Passengers in the rearmost seats are fairly comfortable, but they sit low and the taller among them will find themselves sniffing their knees. 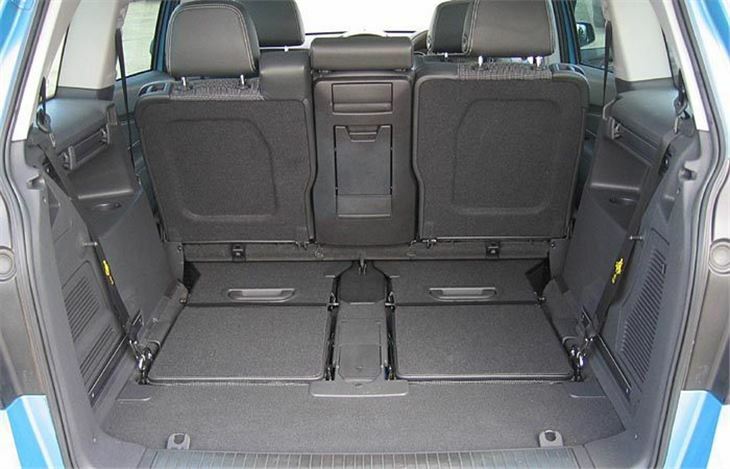 To turn the car into a load carrier, you lift the centre bench upwards then slide the backrest as far forwards as it will go. 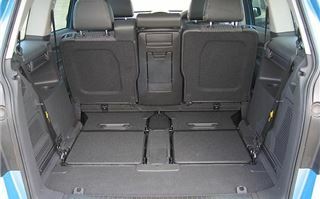 According to Vauxhall’s brochure you can then carry a small sofa in the back. To achieve all that space in the back, the driving position is a bit Routemaster-like. 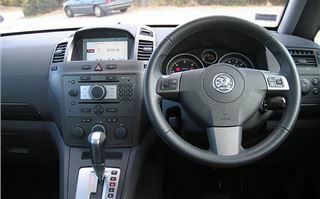 The wheel adjusts in and out and the seat tilts as well as rises, falls and reclines. Yet the wheel is at more of a London Transport angle than you normally experience in a car. It’s okay, though. You quickly get used to it. So what is this Tardis of spaciousness like to drive? The answer is, very nice. Rattles a bit, both from the trim and the engine from start up. But the six-speed autobox is the most intelligent of its type I have ever had the pleasure of driving. Like any efficient diesel, the 120PS FIAT Multijet takes forever to warm up. So the box holds 3rd to help the process. From a cold start it changes up very smartly to 3rd, then stays there using torque converter slip if you drop below 20mph. On the motorway even when accelerating lightly, it stays in 5th up to around 75, which will probably make it very good for caravan towing. 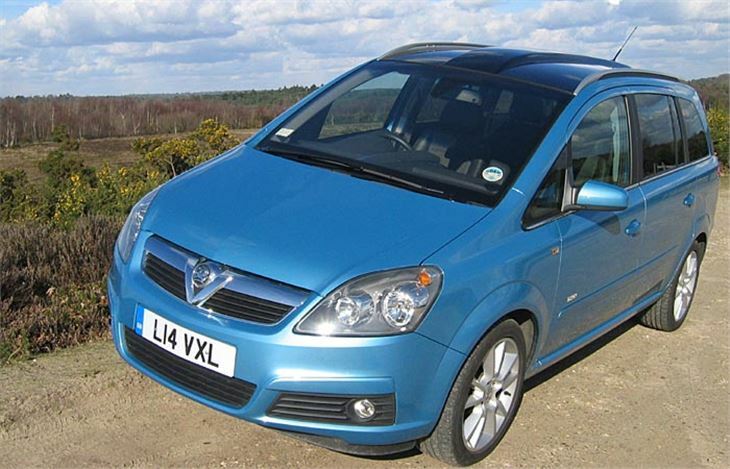 (Vauxhall does a sensibly priced full kit for this.) Lift off and it will change up to 6th at 70 then hold 6th down to 60 before dropping back to 5th. Slow to 40 and it drops to 4th. And it does all this in such a relaxed, fuss-free manner it relaxes you. 6th offers around 35mph per 1,000rpm. 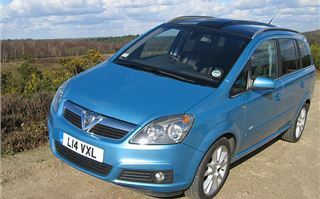 It handles astonishingly well, too, without compromising ride comfort, even with the 215/45 RT 17s my Zafira came on. By “handling well” I don’t mean it gives you race-car thrills. It just does the job with aplomb, gripping where the old Zafira would have let go, and without imposing any form of discomfort on you and your passengers. No feedback yet on transmission life, of course, even though it’s also fitted to SAAB 9-3s, Signums, Vectras and Astras. But you’ll find the well-proven belt-cam 1.9 diesel engine under the bonnets of Alfas and FIATs as well as SAABs and Vauxhalls. You can also get it with 150PS and an extra 35Nm of torque, which you might need for hauling six or seven. I actually liked this vehicle so much I’m in danger of raving about it. 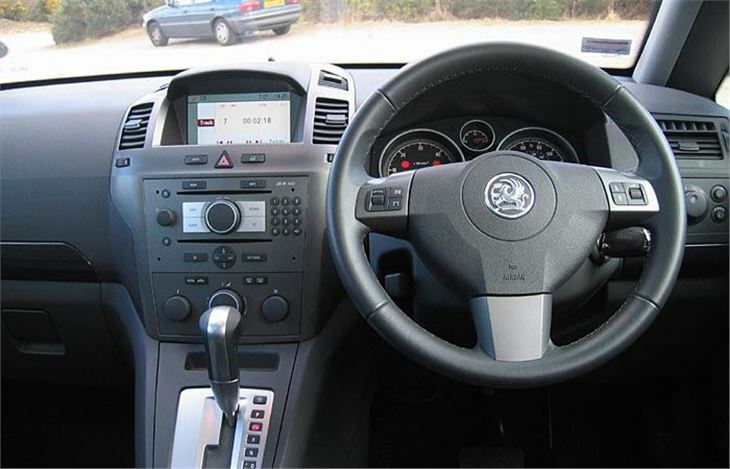 Partly because it was so comfortable, partly because it handled so well and partly because of its superb automatic transmission.